Goal 2: Pader, Uganda. Reintegrating former child soldiers through soccer. Dates have been confirmed with our partner in Northern Uganda to run the 2nd year of our Hat-Trick Initiative with FRO, a wonderful organization that works with former child soldiers and orphans to reintegrate them into the community. 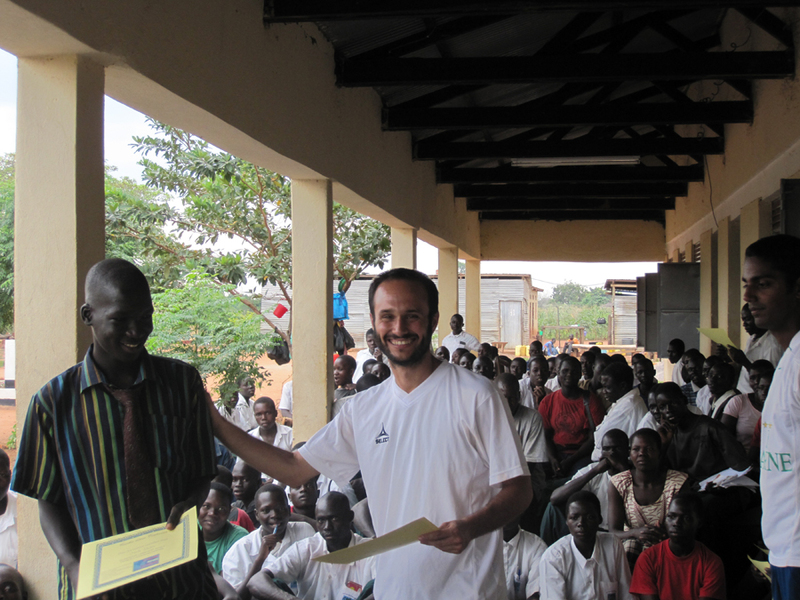 In 2010, Coaches across Continents invested 4,480 hours in Pader to work and structure the 3 year program. 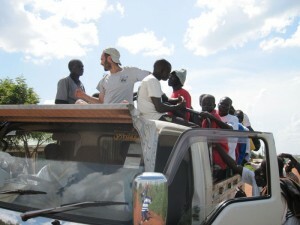 Prior to arriving in Pader, Coaches across Continents worked closely with the Harvard FXB center to understand the unique challenges of working with former child soldiers. “The adaptability of the Hat-Trick Initiative was demonstrated in Pader as our coaches worked alongside FRO and the young men and women in their program. Ivan, Stephen, Sophie, Nick and Deb structured the social development education to encourage the young people to find their voice and to rediscover their joy and laughter. By the end of the first year, a number of young men and women qualified as Junior Coaches” Nick Gates, Founder Coaches across Continents. The second year of the program has a clear goal of developing Coaches for Life Skills and to have them work in local primary schools to tell their stories to the younger generation in Pader. “We are happy that the partnership is continuing and growing. The timing of first two weeks of July is good for us so you can send the coaches to come and work with the children. We have both boys and girls. Anywar Ricky Richard the founder of Friends of Orphans. Coaches Brian, Sarah, Nick and Kevin will be part of the 2011 FRO Hat-Trick Initiative in Pader and will build upon the sustainability of this unique partnership and work hard to create a new generation of leaders. Previous: Goals 1,2 and 3: ‘On Field’ Programs begin in Tanzania in April 2011. Thanks for the great work you are doing and your continued idea to keep the parynership growing with Friends of orphans. The timing of the first two weeks of July is ok since students will be at school for their second term studies. Would you like to only work with our students or even those from outside? Incase you shall need any prior arrangement eg accomodation pliz make us know in advance so that we prepare.